Monitors real time energy usage and washroom footfall and then wirelessly reports the data to the Savortex online portal for analytics. This system sends text messages to cleaners based on actual footfall, which permits timely washroom inspections for improved hygiene and resource efficiency. The AdDryer plays 1080p HD video in response to someone drying their hands. It runs on Intel Atom Processor E3825, which gives this product 8 GB of memory, low power draw, and excellent HD graphics. 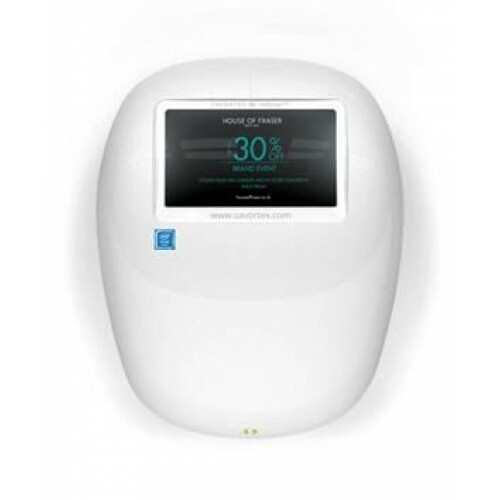 The AdDryer can transform washrooms into smart revenue generators thanks to its IoT capabilities.